This is how everyone is staring at me -- in my mind. I missed blogging yesterday altogether. That happens when I figure I'll do it after the movie, only to not get home until after midnight (hey, that ridiculous card game needed to be played afterward, over a plate of fried cauliflower!). I have a historical tendency to run toward avoidance when I miss a deadline, a class, an appointment. I have a hard time coming back, of showing up and being vulnerable in front of my classmates, my editors, my therapists again, and in my mind plays an awful tape of all the horrible things I think they're thinking about me. But, I get to be the (massage) therapist now. And yes, on rare occasion regulars don't reschedule when they said they'd planned to. And you know what I'm thinking? I wonder if he's feeling better? Oh good, they must have found a great massage therapist closer to them. And when they do come back? I'm so happy to see you! That's it. Truly. I meet my clients with joy, with acceptance, with nonjudgment, however long it's been since I've seen them. And it occurred to me today, as I could feel my brain scrambling to climb on that old tired treadmill of self-recrimination -- don't I deserve the same? I think I do. I think we do. And so I offer it to myself -- ah, that feels better, lighter -- and to you. What have you missed out on recently? What projects or relationships have you built up stories in your mind about? What if you thanked those stories, and patted them on the head, and send them outside to play? What if you knew you were just fine the way you are, missed deadlines and all? What would you be freer to do? If you feel comfortable, I'd love to read your answers in the comments. But there are no deadlines or demands here, only invitation, only welcome, only goodwill. What's with the pic? 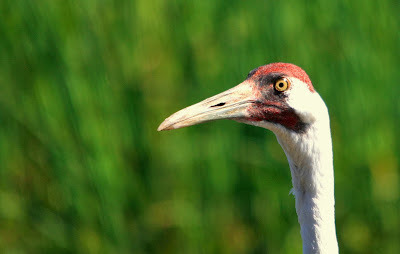 Apparently, Flickr thinks "whoops" means "whooping cranes". This tickled me, and in the spirit of dancing with the missteps, I'm going with it. Creative Commons licensed, by NaturesFan1226.